How to search or check for a word whether its in string or not through a Java program? 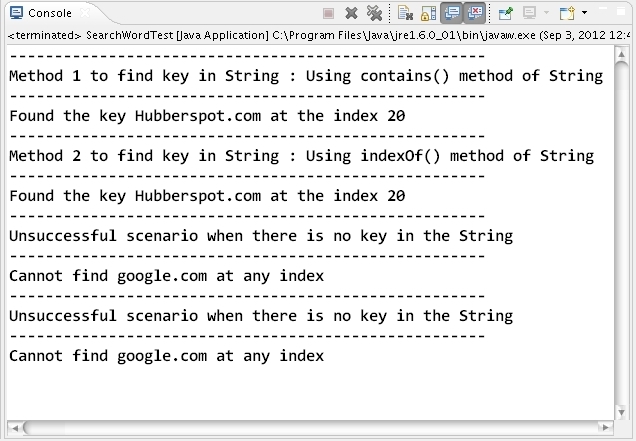 Program to demonstrate how to search or check for a word whether its in string or not. String line = "Hi ! ... Welcome to Hubberspot"
+"We are Java professionals helping our students"
System.out.println("Found the key " + key +" at the index "